During Black History Month, the Glen Theatre will showcase a series of independent films during the 8th Annual Film Festival hosted by Gary native and Hollywood actor William L. Johnson. The 2-day festival will present feature films and a series of shorter pieces. Screenings will begin on Friday, February 15 and continue through Saturday, February 16. The Glen Theater is located at 20 W. Ridge Road in Gary. Friday, February 15, 6:30 p.m. 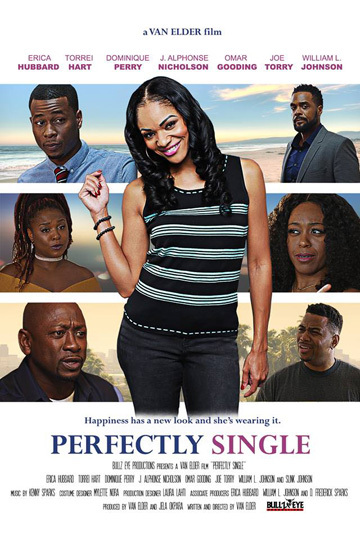 Opening night will begin with a Meet and Greet Reception followed by the feature film, Perfectly Single. Four short films will follow: Living, What If, Until Then and The Reckoning. Saturday, February 16, 7 p.m. The evening’s films begin with the feature, Beyond the Silence followed by the short films: Asia A., Keeping David, Pure Justice and Letting Go. Purchase advance tickets at Beautiful Things, 3570 Village Court, in the Village Shopping Center on Grant Street in Gary; call 219 985-8256. Advance tickets are also available from the NAACP, call 219 949-5565. For both Friday and Saturday, advance ticket price is $30. Friday night advance is $20; Saturday night advance is $15. Ticket cost purchased at door Friday night is $25; purchased at door Saturday night is $20.